HVAC Maintenance and Repairs: DIY or Call A Pro? It may go without saying, but it is crucial that your home’s HVAC system receives regular maintenance. This is the only way for ensure that your HVAC system will operate well for the duration of its lifespan. Much of that maintenance needs to be performed by a qualified and experienced professional. Heating and cooling systems have sensitive components that need expert handling for not only your safety, but also for the safety of the machinery. However, there are some things you can do yourself that will be heavily beneficial in the maintenance of your system. Here are some guidelines regarding tasks you can take care of and what jobs are best left to your technician. Who should handle changing the filter? You should change filters whenever they are dirty. If left unaddressed, grimy filters lead to problems such as stressed fan motors, dirty evaporator coils, dirty air ducts, and dust in the air you breathe. This is a very simple task that requires little time and effort. In the interest of saving a buck or two, most homeowners prefer to handle it without help. Of course, for the sake of convenience, other prefer to leave this task up to professionals as well. There are some cases, though, that a dirty filter can have caused problems for the system, and that is another story. Make sure you call your HVAC technician if your coils have frozen, if you suspect your ductwork is dirty, or if the fan motor keeps shutting off. Who should handle the cleaning? Seasonal HVAC maintenance visits usually include some cleaning tasks specific to the machinery. Your contractor can take care of cleaning the coils and cleaning interior parts that have gathered dust. Some cleaning projects are easy to do yourself and can even have a huge effect in allowing your system to run better as well as make any maintenance task easier to handle. This includes keeping the area around the furnace and other interior HVAC components neatly swept and free of clutter. Outdoors, try to keep trees and bushes trimmed back from the compressor and don’t let brush or grass clippings build up nearby. The technician will appreciate clear access to the units, and it will also reduce the amount of debris being trapped inside. Who should handle any repairs? It can be tempting to explore your HVAC equipment yourself when something is malfunctioning, especially since the technician usually needs at least a few hours before arriving to address any issue. Clearing a clog in the drainage pan or tightening a bolt yourself is no big deal, but avoid doing anything more than that. Call your technician to make repairs such as loose wiring, broken belts, or stalled fans. That is the safest and smartest way to handle these issues. 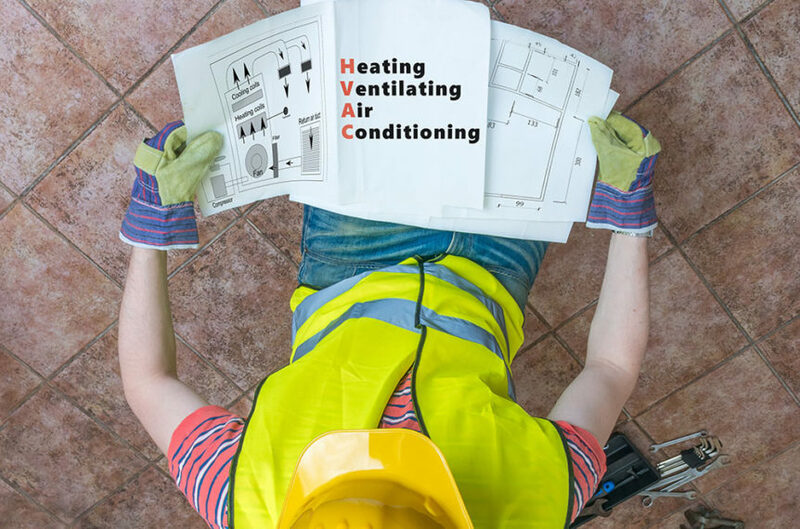 For more about HVAC maintenance and your Idaho Falls home, please contact us at Mora’s Heating and Cooling. Our goal is to help educate as many people as possible in the Idaho Falls, Idaho area about energy and home comfort issues (specific to HVAC systems).